A look at the new memoir from one of our finest actors. Bryan Cranston’s journey as an award-winning and critically acclaimed actor has been anything but linear. Long before he ascended to the top of his profession, Cranston faced no shortage of personal and professional challenges—including many lean years when the phone wasn’t ringing nearly as often as it is today. As an enormous fan of Breaking Bad and his work since then, I had heard him talk about many aspects of his life during in-depth interviews. (His two-hour chat with Kevin Pollak was particularly enlightening.) Still, I wanted to know more about how he became, well, him. Against this backdrop, I recently finished Cranston’s memoir A Life in Parts. (Disclaimer: Cranston’s publisher Scribner sent me an advanced review copy sans obligation.) In a word, it’s excellent. The words emotionally draining don’t begin to describe what he was feeling. He imagined not letting an actress choke to death on her on vomit, but his own daughter. It turns out that Cranston regularly draws upon his own demons and rich array life experiences to bring his characters to life. 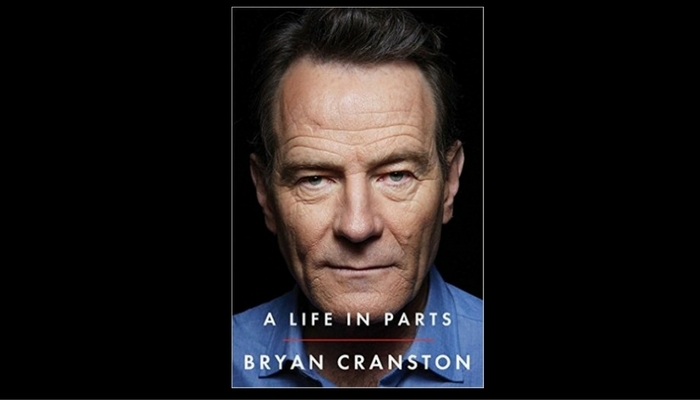 Throughout the book, Cranston fuses his personal and professional life in a way that’s nothing short of riveting. For instance, he describes how a toxic relationship with an unstable woman in Manhattan served as acting fuel years later when he inhabits the increasingly dangerous Heisenberg. Cranston notes that we all have the ability to break bad under the right circumstances. This is an engrossing first-person account by one of our finest actors and I couldn’t put it down. A Life in Parts is anything but juicy tell-all. Cranston doesn’t superfluously dish dirt about petty behind-the-scenes skirmishes. At the same time, though, he’s not afraid to detail a conflict about a small but critical acting-related disagreement. As one might expect, not everything was hunky dory all the time on his shows and movies. For instance, there were plenty of politics and back-and-forth on the soap opera Loving. Cranston also reveals a few pointed conflicts about specific lines and plot points on Breaking Bad. All throughout the book, one gets the sense of an honest and humble yet confident actor, son, husband, and father. On his first marriage, Cranston writes that he was just too young. What’s more, as he’s mentioned in interviews, Cranston believes firmly in luck. Looking for a five-point plan to become a successful actor? Good luck with that. It just doesn’t exist. Working hard is necessary but not sufficient to achieve one’s goals. Put differently, A Life in Parts is no preachy, “how to be like me” memoir. It’s an engrossing first-person account by one of our finest actors and I couldn’t put it down. Originally published on HuffPo. Click here to read it there.